Every now and then we get an example of an author who persevered. We’re gifted with knowing an author who didn’t stop, no matter the obstacles and regardless of how much time it took to get it right. Karl Anderson: An Artist and His World is probably the best example of why you should never give up that you’ll ever hear about. Dorothy Davis Cox started this endeavor fifty years ago. Yep. Fifty. Years. Five-zero. 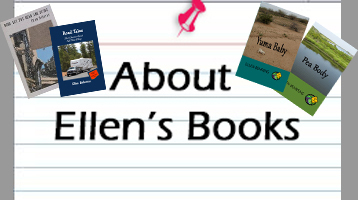 She’s seen her kids grow up, marry, and have children of their own during the course of researching and writing this book. Then those grandkids got married and had their own kids. She lost both parents, three sisters, her son and her husband (both to cancer) and a grandson during that time. 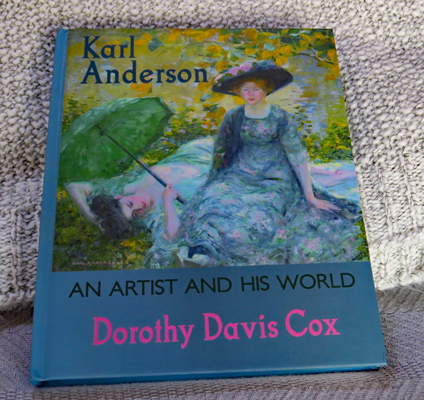 She started this comprehensive biography of impressionist artist Karl Anderson (1884-1956) before we had the convenience of the Internet. Google searches and online galleries weren’t even on the horizon — she conducted her research via letter and the occasional (and expensive) “long-distance” telephone call. She wrote. She re-wrote. She’d think she had a particular bit of information confirmed, write the segment, then discover another source that turned things around on her. So she revised yet again. I know all this because I’m proud to call her my mother. Hopefully I’ve inherited her determination. Her stubborn need to finish what she begins. Plenty of people pooh-poohed her project. In some cases, she cleared weeks worth of work off her dining room table before a visit by someone who didn’t understand her passion, her need to understand the subject of her book, nor her intense need to see the book to fruition. Inspiring, huh? Starting to feel as though you need to push on, aren’t you? Well, what if I told you Dorothy Davis Cox is a 92 year-old great-grandmother? Yes. Ninety-two. Nine. Two. Mom is such an inspiration! Sometimes I’ve got so many things I want to do I can’t settle on one to focus on — has that happened to you? Looking forward to your next book, Janetta!